Mercury is an album in wich the sounds used (improvisations with percussion metal plates and storms field recordings) work into a different perspective on dark ambient, Nieto hasnpt used melodies or ornaments to make the listener more “friendly”, It’s the transformes sounds that sustain the album and need attentive ears to be enjoyed. “Artificial Thoughts” is the first Zzy‘s album. The story of this album is about two different realities: the humanity and the machine revolution. In other words, this work criticizes “the modern society” and their addictions. Do humans control the machine or does the machine control humans? The technological revolution an its progress seems to us unbreakable and doesn’t show signs of ending. Will we all be dominated by the machine? Is this our end? “Artificial Thoughts” is struggling with those questions that have no concrete answer. However, the future looks dangerous and THE HUMANITY has to make decisions to survive in this game, against the endless evolution of the machine. The event was curated by Naviar Records and Neil Stringfellow, supported by the Great Britain Sasakawa Foundation and Resonance Extra. Officina Errante – Recorder! Ricorda​.​.​. “Recorder! Ricorda…” is the first release in Linear Obsessional’s cassette series, professionally produced cassettes in uniform designs by David (smallhaus) Little. The artists have worked to produce music specifically for this format. Officina Errante’s piece is an audacious journey through a succession of sonic moods, all sounds recorded on a portable Zoom recorder- the results then manipulated, crunched and highlighted later- time compresses and expands infinitely….tinkles from a borrowed piano add melancholic interludes.. It’s almost like a succession of audio postcards or snapshots, each “movement” capturing moments of stasis or energy, urban clamour or rural tranquility the whole work flowing seamlessly with it’s own logic. Officina Errante reworked his piece especially for the cassette format and Linear Obsessional is delighted to present this piece of 21st century musique concrete/sonic travelogue. All sounds, fields and instruments in this work have been sampled from recordings taken by me with the Zoom H5. I could take these recordings also thanks to Niina, Luke, Laura, and Michiko-san who let me play her piano all the time I wanted while I stayed at hers. Written and produced by Officina Errante in Tokyo, Tonami and London. Alternate takes and unused pieces made while composing the album Point. While Failure Circle‘s 1st album 0x0.0 was full of overdubs, the 2nd one “A mistake within a mistake” consist of 3 raw improvisations recorded in Kecap Tuyul’s home studio during winter 2017-2018. It shows another side of this no-input-mixer project: more focused, less frantic, and even minimalist and droney sometimes. Giacomo Salis / Paolo Sanna Percussion duo meets Stanislas Pili, a percussionist with a classical-contemporary background. The result is a visionary and deep dialogue, where standard and extended tecniques are used to play different percussion. The non – idiomatic free improvisation and the post free european school are the foundations of the trio’s sound research. Trixie Delight’s second release on TCFSR is once again constructed from her own field recordings over which she plays her zither and sings. This release includes interpretations by Lone Cosmonaut, Doctor Mario, Dental Drill and 3dtorus. 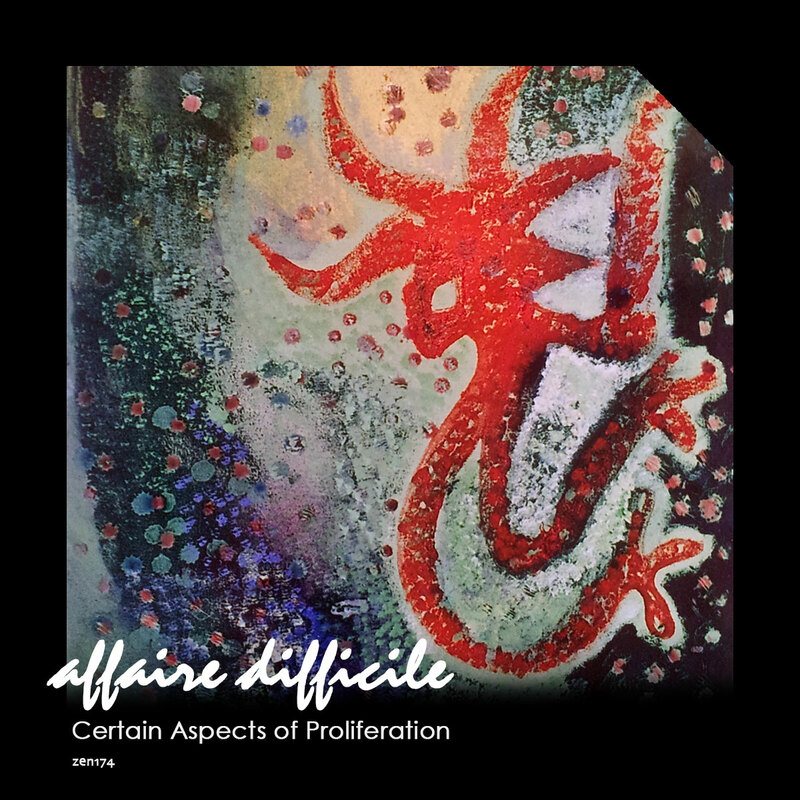 This handful of sounds in musical format is anything but arid, since thousand of images do flourish and take place against to our psyche, as we go through the generous timing of the tracks. Microscopic geometries perpendicularly pass through the space inhabited by omnipresent and opaque bass drums in black notes (as it has to be) which are several times fractured by resounding breaks that keep inviting us to a total immersion. There is no truce or carelessness. Everything is in its place. The web is solidified and amalgamated by elegant melodies of overseas (Árido III). Other times there are distant voices (Árido II) which characterize the galloping plot that equally spill magic and celebration in an endless coven. Árido I puts us a muzzle and a leash to take us to a ride with an eternal arpeggio of cosmic horseback ride that is little by little being contaminated by weaves of liquid gas and noisy flashes. The delivery is a resounding trip of oneiric minimalism with remarkable aquatic calling and architecture riddled with compressed concrete. Since minute 1 it warns that from here one does not come back with the same face as the one at the beginning of the trip. A serious, meticulous, elegant and hypnotic work that invites to be listened with closed eyes, light off and a closed door. The excellent remixes that complete this robust new delivery of Modismo provide spice to the total, but of course the dish can only be more filling at that level of genre. Miguel Conejeros, 2008 Stgo. Chile. In attempt to connect deeply with nature Gilman Mom’s newly-released album, Revisionist History, is immersed in atmospheric field recordings and jazz-inspired drone. The album looks to delve into the embrace of a warm, youthful summer’s day and perhaps explore what mental state endured by such an environment. 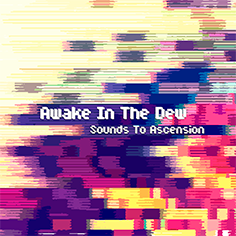 ‘Sounds to Ascension’ é um EP do projeto de música eletrônica e experimental Awake In The Dew que tem por base o álbum ‘Last Sounds to Ascension’, lançado digitalmente em novembro de 2015. O EP reúne os principais títulos do disco e traz as faixas na íntegra sem a sonoplastia contida no álbum. A sonoridade de ‘Sounds to Ascension’ se volta para os gêneros mais experimentais da música eletrônica, como o dark ambient, drone, glitch e idm, que formam as influências trabalhadas dentro do projeto e contam com referências a artistas atuais como Access To Arasaka, Hecq e The Flashbulb, além de grupos clássicos como Autechre e The Future Sound of London. Awake In The Dew foi criado em meados da década de 2000 na cidade de Maceió pelo produtor alagoano Diego Henrique. O projeto teve sua primeira fase entre os anos de 2007 e 2011, com uma sonoridade mais noise com bases em gravações lo-fi e conotações post-rock e psicodélicas. A segunda fase se iniciou em 2012 e já conta com quase uma dúzia de discos lançados, mais voltados para música eletrônica experimental. O produtor Diego tem 31 anos de idade, cresceu ouvindo dance music e outros gêneros da eletrônica, até se interessar por sonoridades experimentais no final da adolescência. Autodidata, começou a se interessar por softwares de produção e edição sonora aos 17 anos de idade, época em que integrou o coletivo de DJs pragatecno em sua cidade, tocando suas próprias produções como DJ. Atualmente, ele mantém outros projetos além do Awake In The Dew, nos quais ele desenvolve seu estilo particular e característicos em outros segmentos da eletrônica, seja voltado para pistas, seja misturado com elementos do rock, como pode ser conferido nos trabalhos do Airplanemusic, Hightech Factor e Plumarino. Max Bober is a musician born in the windy south of Argentina, near Atlantic ocean and the Andes mountains. He studied violin, composition, philosophy and other interesting things in Buenos Aires. He is interested in experimenting with the ideas of silence, space, and resonance. Since 2017 he is living, studying and composing in Warsaw, Poland. When he is not thinking about music, or writing, or working, he likes to walk near the river and drink wine watching to the sunset. Free jazz compositions based on free improvisations of two great musicians of avant-garde free jazz pianist Cecil Taylor and saxophonist Steve Lacy, through the eyes of the fusion jazz combo Longman. The second volume of collected early works spans the years 1994 to 2001, when I was twenty-three to thirty years old. Most of these pieces are either unreleased or have been out of print for decades. Some of my more drone-based work from this early period has ended up on this volume of work.Free to download for those who can’t afford it, or pay something if you can afford it and want to support what I do. Recorded between December 2017 and February 2018 at Roy T. Studio, Mühlbach, Dornbirn. Thanks to Andrijana for help.